BEAUTIFUL GLASS AT BARGAIN PRICES! Save Event: BEAUTIFUL GLASS AT BARGAIN PRICES! Share BEAUTIFUL GLASS AT BARGAIN PRICES! 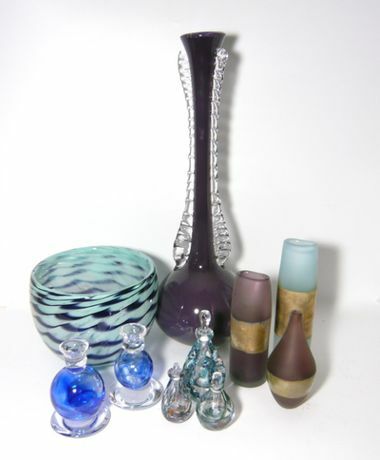 Friday-Sunday, December 3-5, 2010, 11am  5pm Aaronson Noon Glass Studio is holding an amazing Yard Sale at our glassmaking studio in Earl's Court. This is one of our most exciting events of the year, where you can find interesting and original glass at bargain basement prices. Beautiful hand-made glass vases, scent bottles, baubles, paperweights, candlesticks, bowls and much more at prices from £1 to £75 (up to 75% off). Give your family and friends something unique and original for Christmas this year  if you can bear to part with them that is!